Andreas C. Cangellaris is the Vice Chancellor for Academic Affairs and Provost and M.E. Van Valkenburg Professor in Electrical and Computer Engineering at the University of Illinois at Urbana-Champaign. As the chief academic officer, Dr. Cangellaris oversees the campus’ academic programs, policies, and priorities, which are designed to ensure the quality of the educational experience for students and to sustain an environment that encourages and supports academic excellence through diversity, inclusion, and free inquiry, debate, and speech. In this role, he works closely with the chancellor, the other vice chancellors, the deans of academic colleges and other units, academic staff, the Senate of the Illinois campus, and various committees in setting overall academic priorities for the campus. 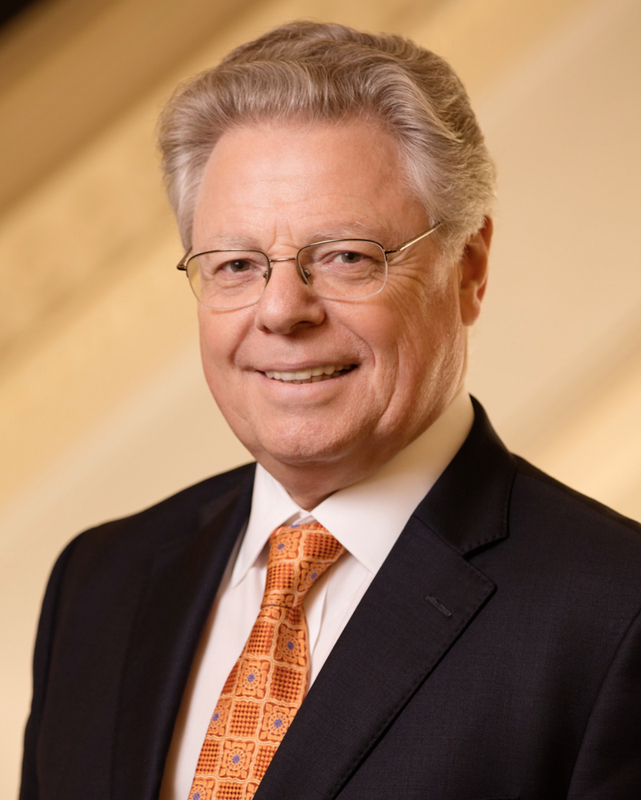 From 2013 until 2017, when he was named Vice Chancellor for Academic Affairs and Provost, Dr. Cangellaris was Dean of the College of Engineering at Illinois. Prior to serving as dean, he was Head of the Department of Electrical and Computer Engineering. He was named the M.E. Van Valkenburg Professor in Electrical and Computer Engineering in 2007. His tenure on the Illinois campus also includes a two-year appointment as an Associate Provost Fellow (2006-2008), during which time he led the activities of a campus-wide committee to review and update the campus’ Promotion and Tenure procedures. Cangellaris joined the University of Illinois in 1997 as a professor in the Department of Electrical and Computer Engineering. His research interests are in the area of theoretical and applied electromagnetism with special focus on the advancement of modeling methodologies and computer-aided design tools for analysis and noise-aware design of high-frequency/high-speed integrated electronic systems. On these subjects, he has authored or co-authored more than 250 refereed papers and articles in journals and conference proceedings. Dr. Cangellaris’ teaching interests and activities include undergraduate- and graduate-level courses in electromagnetic wave theory and its engineering applications. Prior to joining Illinois, Cangellaris was on the faculty in Electrical and Computer Engineering at the University of Arizona, Tucson. He also previously spent two years as a Senior Staff Engineer with the Electronics Engineering Department of General Motors Research Labs. Cangellaris received his B.S. in Electrical Engineering from the Aristotle University of Thessaloniki, Greece in 1981, and his M.S. and Ph.D. degrees in Electrical Engineering from the University of California, Berkeley, in 1983 and 1985, respectively. Dr. Cangellaris is a Fellow of the Institute of Electrical and Electronics Engineers (IEEE). In 2005, he received the Alexander von Humboldt Research Award from the Alexander von Humboldt Foundation, Germany. He was an IEEE Microwave Theory & Techniques Distinguished Lecturer from 2008 to 2010. In 2011, Dr. Cangellaris received the U.S. Army Research Laboratory Director’s Coin. In 2012, he was recognized by the IEEE Microwave Theory & Techniques Society with the IEEE Microwave Theory & Techniques Distinguished Educator Award.